New from Vibram. Now in Shearling Lined Boots! Our latest addition to the Furoshiki Collection! Our shearling boots provide added comfort and warmth to the wrapping sole concept, offering a luxurious, snug fit for hanging out around the home or traveling out and about! For the everyday person on the go, this latest innovation lets you escape those big, bulky boots. The synthetic shearling lining provides an added softness and comfort against the leg and these boots feature our trademark Vibram ECOSTEP outsole, as well as a synthetic shearling upper. Hook and Loop closures help to provide the proper fit for anyone! *Please Note that the sole of this product may feature some speckles. This is a natural occurence of our EcoStep compound, which is made from recycled materials, and does not affect the sole or its functional performance! *Please note: Our shearling boot can be a little more snug due to the nature of the fabrics, and being lined. 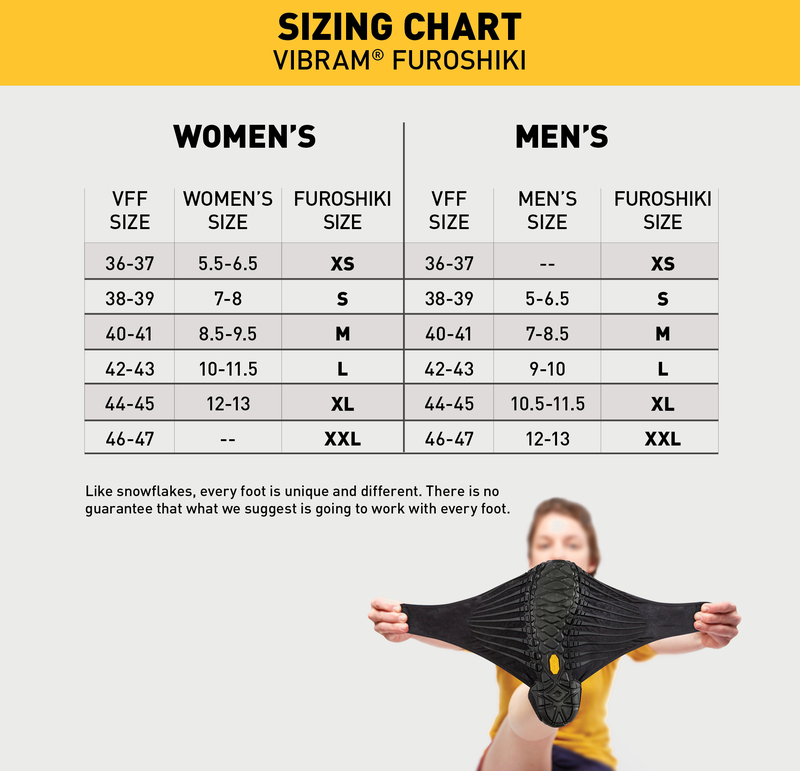 Sizing up may give your foot more space, especially if you wear your original Furoshiki snug already. Unfortunately the High-cut Boot does not come in a wide calf size.